Guided by ayahuasca chants, GREEN RIVER. 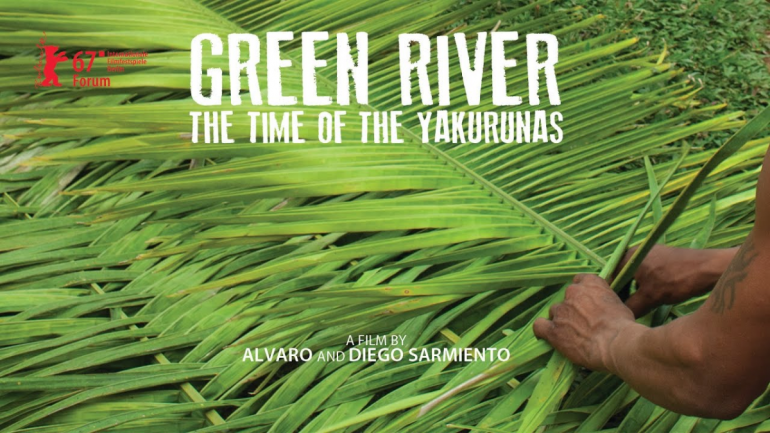 THE TIME OF THE YAKURUNAS is a poetic journey into the depths of the Amazon. The film explores the perception of time in three small villages intertwined by the flowing waters of the Amazon river, immersing the viewer in a landscape inhabited by shamans and archetypical societies. This hybrid narrative depicts the bodies of native elders to evoke the ghosts of rubber colonialism at the end of XIX century, the memory of ancient indigenous cultures still alive, but in danger of disappearing as a consequence of global capitalism.